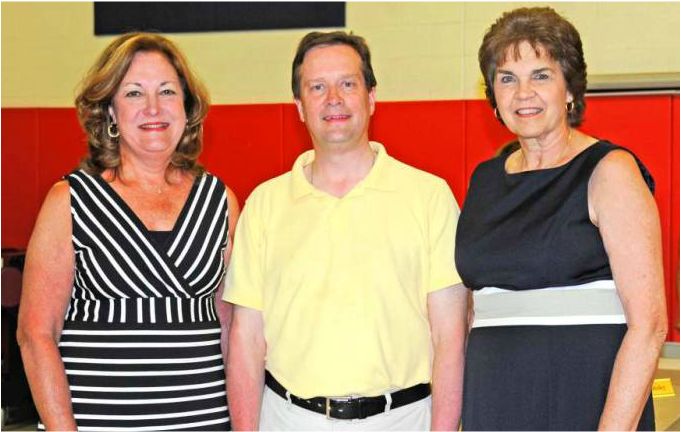 Mrs. Helen Hodges, left, has been an amazing school nurse at Cherry Hill School for 27 years! She received her Bachelor’s of Science in nursing from Wagner College and her Master’s Degree in nursing from New York University along with her School Nurse Certification from Seton Hall University. 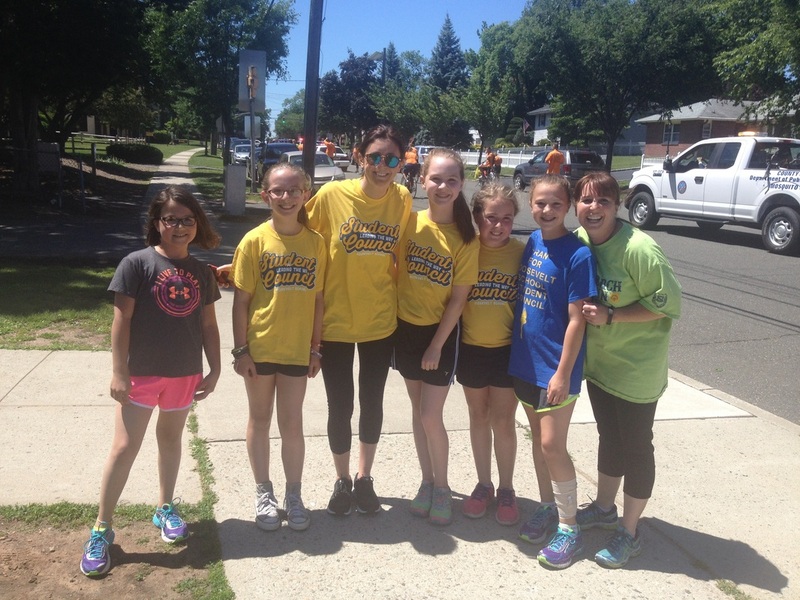 Mrs. Hodges worked at Columbia Presbyterian Medical Center in the adult and pediatric emergency departments before she became the school nurse at Cherry Hill School. In addition to being honored as Teacher of the Year in 1996, Mrs. Hodges served on the River Edge Education Association board, Advisory Council, Bergen County Nurses Association and many more. Mrs. Hodges will surely be remembered fondly at Cherry Hill School! Mr. Paul Scott has been in River Edge Schools for 27 years as well. 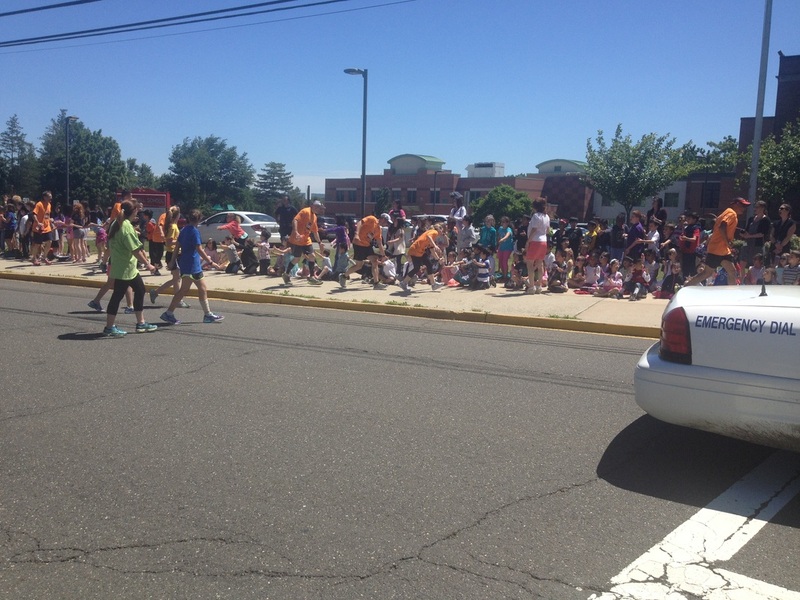 He has been the instrumental music teacher for both Cherry Hill and Roosevelt Schools. 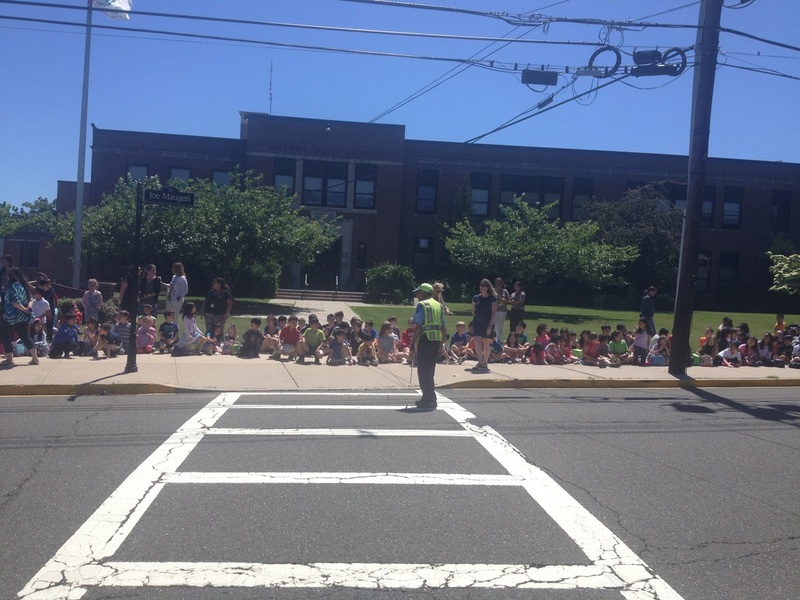 Mr. Scott earned his Bachelor’s Degree in music education from New Jersey City University. 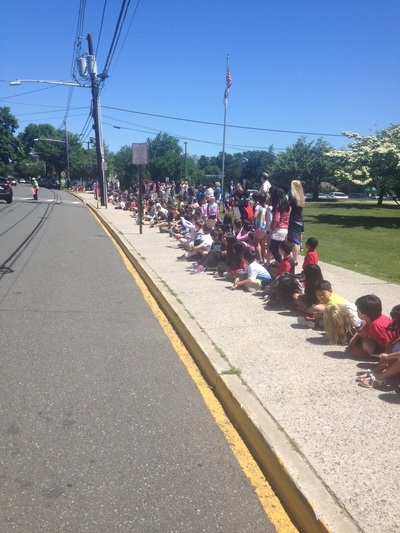 Before coming to River Edge Schools, he worked in the Elmwood Park and Saddle Brook Schools. 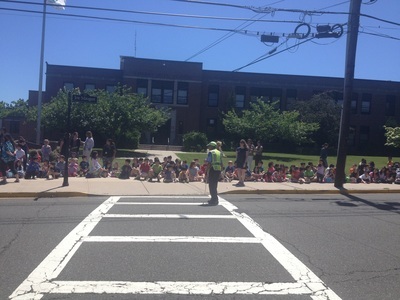 A member of New Jersey Educators Association and the American Federation of Musicians, Mr. Scott brought students to a very high level of performance at concerts and festivals. Mr. Scott's music will remain a part of River Edge Schools for years to come! Mrs. Davis, right, has been a remarkable School Nurse at Roosevelt since 1996. She received a Bachelor’s Degree in sociology from Wagner College, a Bachelor’s of Science in nursing from William Paterson University, and a School Nurse Certification from Seton Hall University. She worked at the Holley Child Care and Development Center for eight years and at Hackensack University Medical Center as a cardiac nurse. 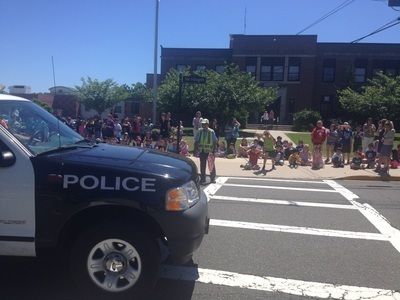 Davis was the teacher of the year in 2000 and is also a Cardio Pulmonary Resuscitation (CPR) instructor, in which she utilized her skill set by conducting training for the staff and a health fair for the fifth and sixth grade students of Roosevelt School. 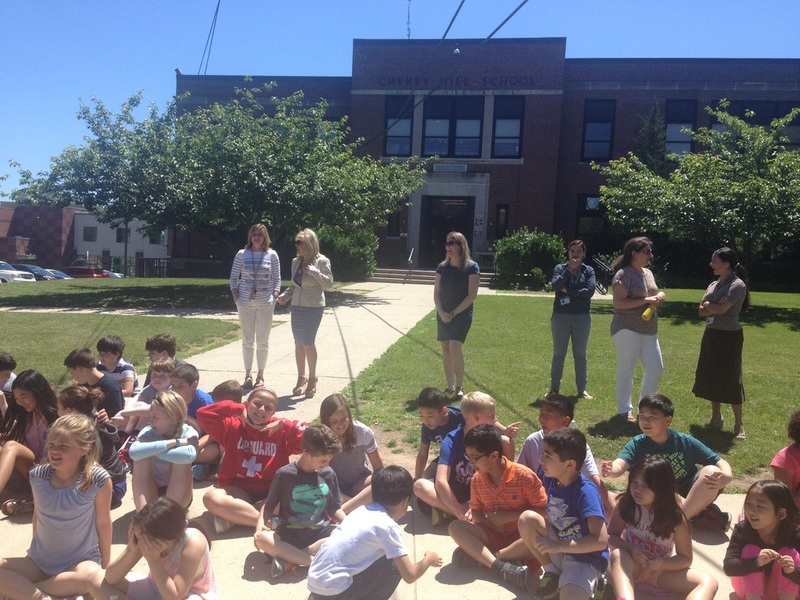 Mrs. Davis will always remain in the hearts of all students and staff at Roosevelt School. 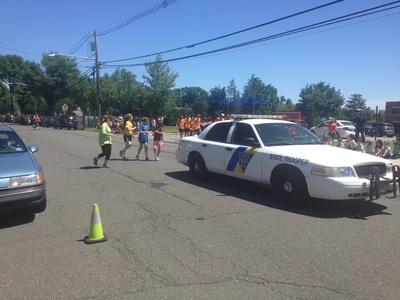 On June 10th, the Law Enforcement Torch Run passed through River Edge! 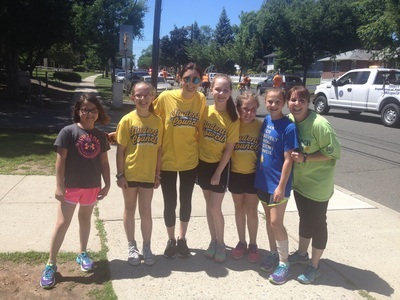 Every year, the course runs from Liberty State Park in Jersey City to Rutgers Stadium in New Brunswick through eight towns and covers 43 miles! Funds are raised for the Special Olympics. 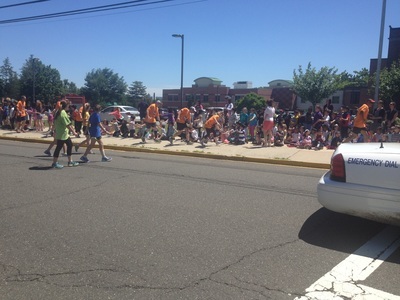 The tour took the torch and its runners past Roosevelt School where the students and teachers cheered, and Student Council joined them on the run all the way down Bogert Road to Cherry Hill School and New Bridge Center. 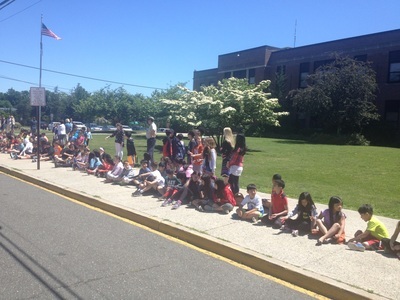 Lining the sidewalk out front of CHS and NBC, the students cheered for the Torch Run Team and the Roosevelt Student Council. 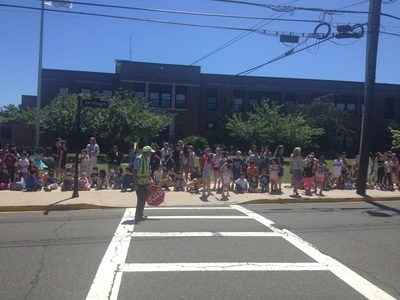 Below are pictures outside of Cherry Hill School of the students lining the sidewalk and the RS Student Council after completing a leg of the Torch Run! Technology in New Bridge Center! 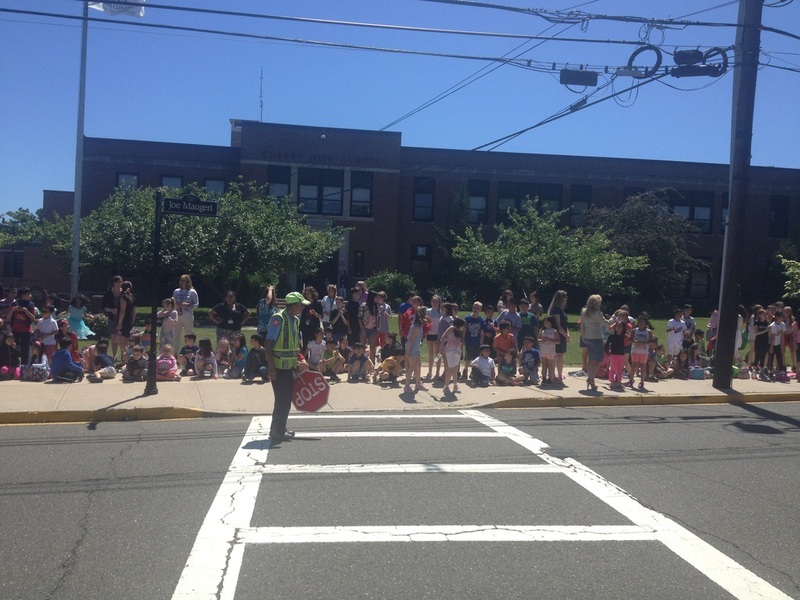 In New Bridge Center, Ms. O'Reilly's Kindergarten class and Ms. 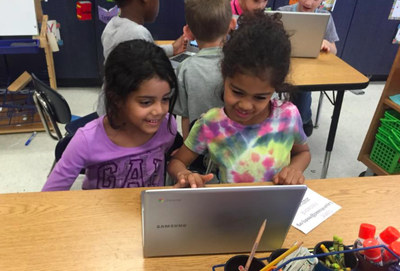 Buttery's 1st grade class have teamed up to become Chromebook buddies. The Kindergartener's have quickly become pros using the Chromebooks under the guidance of the first graders, and they are learning how to use Google Docs for writing stories. 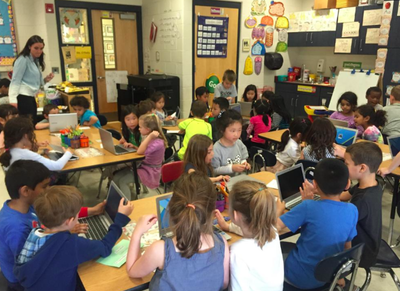 Integrating technology in education helps students stay engaged. Students love technology, so they are sure to be interested in learning if they can use the tools they love. 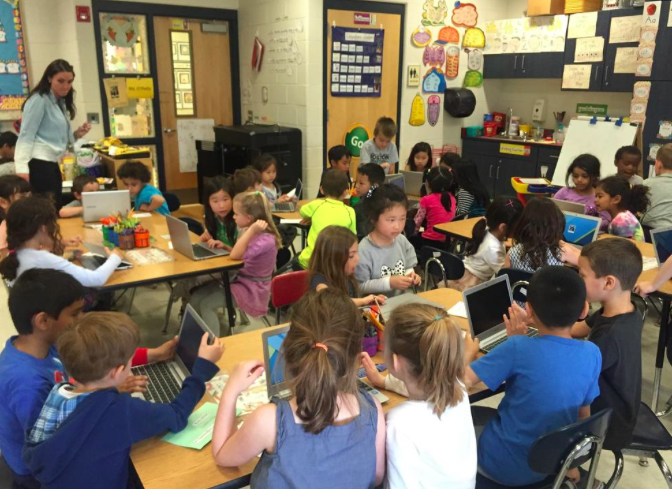 Integrating technology into the classroom is definitely a great way to reach diversity in learning styles.